It’s Friday night, and you’re out with your friends after a long week of work. Then a cool idea hits you—what if you opened your own bar and became the captain of your own party boat? Although it’s fun to think about, cash would be the biggest obstacle. You might not even know where to start to get funding for a bar. Bars have higher startup costs than most people think. The initial amount to start a small neighborhood bar can be as little as $20,000, but if you’re planning to open a combo bar and restaurant or a large brew pub in an urban location, you might be looking at seven-figure startup costs. Even if you’re planning to buy an existing bar, there’s lots to consider. 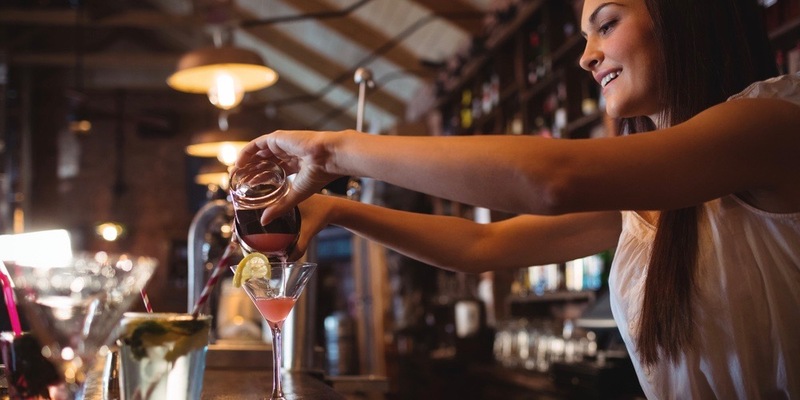 When you get funding for a bar, you’ll need to think about equipment financing, a line of credit for purchases, and a ton of other considerations. Securing funding will be tough—tougher than hiring a hip mixologist or a cooler-than-cool beertender. In other words, there’s a lot more work that goes on in the back office than behind the bar itself. Although there may be more moving pieces behind bar financing than you’d initially expect, that doesn’t mean that your dream is impossible or unrealistic. There are actually plenty of business loan options for bar owners. Find out your best options, plus how to stay ahead of the game once you obtain initial financing. You can reward yourself at the end of the process with a cold one. Lenders typically look at bars in the same way as other food service businesses. That used to be an obstacle for bar owners because lenders perceived restaurants as a risky industry with a lot of turnover. However, people have done lots of studies and found that restaurants are actually more successful than other types of businesses. And now, restaurants get more business loans than any other industry. So you have a number of options for getting the kind of capital you need. 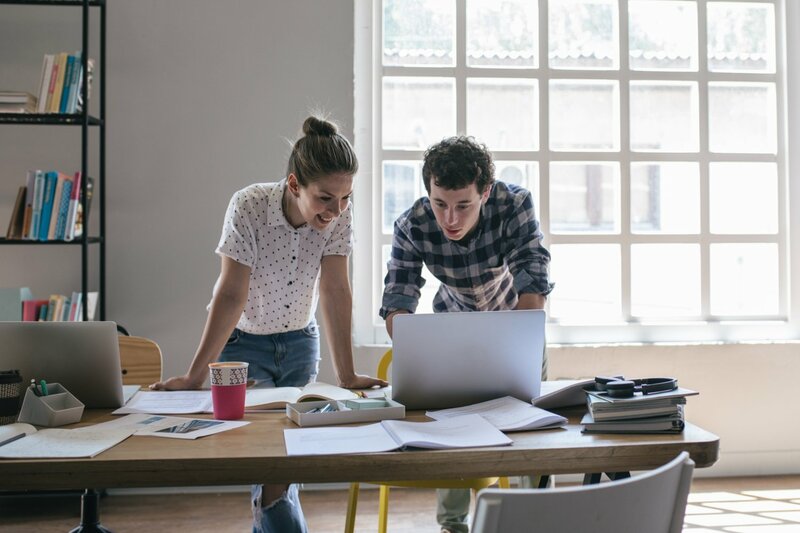 Small Business Association (SBA) loans are among the best ways to get funding for a bar, let alone any other kind of entrepreneurial idea you might want to pursue. SBA loans come in several forms, a wide variety of sizes, and very flexible terms of repayment. They allow banks to loan to small business owners (and would-be business owners) with less risk, as the federal government guarantees to repay a significant portion of each loan if the borrower defaults. The government guarantee means that these loans have very low interest rates. These loans also benefit small business owners by letting them borrow a larger dollar amount than a standard bank loan (up to $5 million or even more for real estate and equipment), so entrepreneurs don’t need to take out multiple loans. The SBA 7(a) loan is by far the most common of the different kinds of SBA loans, allowing you to borrow up to $5 million dollars to go toward almost anything, including equipment, inventory, refinancing existing debt, and buying property for your bar. The flexibility of an SBA 7(a) loan’s usage terms are just what you’ll need when you look to fund your bar’s opening. You’ll need to purchase equipment, inventory, and furniture for your tavern, among other items, so the wide range of acceptable uses that comes with a 7(a) loan will come in handy. A word of caution, however: Get ready for exhaustive paperwork. Getting an SBA loan can take several weeks as the bank processes all of your documentation. You’ll have to open up the books on not only your business’s financial history but the financial records of you and your co-owners as well. You should have good credit to qualify for an SBA loan, as the minimum credit score needed for approval is usually around 620. If you can qualify for an SBA loan, this is a great way to get funding for a bar. Low interest and long terms mean manageable monthly payments. But be ready to open up your books, and to wait a while for the loan to go through. You might have found a good space for a bar, but now you’ll need to fill that space with furnishings and equipment. Think refrigerators, draft lines for beer, brewing equipment, tables, chairs, sinks, and ice boxes. Granted, you can usually buy most of this stuff second-hand from restaurant vendors, but even buying used equipment will still cost you a pretty penny. Equipment financing is a great option for entrepreneurs who either don’t qualify for an SBA loan or who need the money faster than the SBA loan approval timeline permits. Lenders will provide you with up to 100% of the cost of your equipment, with no additional collateral required beyond the equipment itself (since the bank will repossess your equipment in the event that you can’t pay back the loan). One reason equipment financing loans are great for entrepreneurs is that they’re self-secured: in other words, the value of the equipment is the loan’s collateral in and of itself. This means that if your bar goes belly up, you won’t be left on the hook for your collateral out of your own pocket, or via any other property you might own. Be aware, however, that if you have low credit or are opening a brand-new bar (as opposed to buying an existing bar), you will likely have to put up a portion of the equipment’s cost on your own. Maybe you don’t need to purchase equipment, or your credit score puts an SBA loan out of reach. There’s always the option of taking out a personal loan for your small business. Regular small business loans require banks to look at your company’s financial history (which includes credit and cash flow histories), require collateral, and often come with restrictions on how you can use the money. Personal loans, on the other hand, rely on your personal financials instead. And you typically don’t have to put down collateral as part of the deal. Plus, you’ll have fewer limitations on what you can do with the money once the lender approves your application. Personal loans are sometimes the only route for entrepreneurs who want to open up a brand-new bar. It’s difficult to get approved for a traditional business loan if you can’t demonstrate income yet, and your bar likely doesn’t have any kind of cash flow history to submit during the approval process. As a result, personal loans can be an attractive alternative. The catch is that you might not be able to get a lot of money through a personal loan. You might need to combine a personal loan with other sources of funding to go into business as a bar owner. The old tried and true method for financing a business still works. Friends, family, and private investors have helped many entrepreneurs open their own restaurants and bars. Your acquaintances can be quick sources of quick capital who don’t require background checks, credit reports, or elaborate business proposals. But, at the same time, you should approach this option with caution. Business doesn’t always mix well with friends and family, and if your bar goes south, you’re going to owe your investors the full amount of their stake in the company. Anyone who’s watched an episode or two of Bar Rescue can tell you that things can get nasty quickly among investors when a bar experiences financial trouble, so consider your options fully before going down this route. One way to protect yourself and your investors is to draft up the terms of any loan or investment in writing. You can write up a simple agreement yourself or hire a lawyer. →TL;DR (Too Long; Didn’t Read): SBA loans offer low-interest, long-term loans for bar owners. Equipment financing is perfect if you need to purchase expensive equipment. If you can’t qualify for either of those options, then a personal loan or family loan might be the way to go. Okay, you’ve got the cash. You’ve got the liquor. You’ve got your cocktail mixologist. You’re well on your way to operating the hottest new bar in town. But now it’s time to take your business’s financial health to the next level. And to do so, you’re going to need to set yourself up to manage everyday finances. Right off the bat, you need to consider the kinds of costs and unexpected expenses that’ll pop up along the way. Your refrigerator might suddenly break, your draft lines may go sour and need replacing, or you might find that your perishables have all gone bad because a bar-back didn’t close the door on the walk-in freezer after finishing their shift. Whatever the reason, you’re going to have to consider several expense categories when you get funding for a bar—and, most important, be ready for those you couldn’t anticipate ahead of time. Yearly beer sales tend to drop in late autumn, which can make for a slow winter. And slow business often translates into—you guessed it—payroll problems! Your bar lives and dies by the pint, pitcher, and bottle. The fewer thirsty people walking through your door, the less money there is to pay your staff. Thankfully, payroll funding and working capital loans provide a hedge against lean times by offering short-term loans to cover payday for staff. These loans can also be easier to obtain than regular financing, even with lower credit or lower business revenues. Note that working capital short-term funding is still more expensive than a traditional loan, so you don’t want to make a habit of taking out these loans in order to make payroll. Keeping your money behind bottles of weird schnapps that no one wants to drink isn’t a long-term strategy. The first thing you’re going to need, if you haven’t gotten one already, is a business checking account. Thankfully there are plenty of options out there to fit your needs. Applying for a checking account is easy, and you should be able to find one that will offer you the kinds of perks you’ll use on a frequent basis. Since most bars operate in cash and credit card payments (as opposed to wire transfers, for instance), you’ll want to focus your search on checking accounts that offer you a high number of cash deposits for free every month, and those that are favorable for credit card transactions. You’ll also want to make sure that you’re allowed to withdraw large and small amounts of money frequently, as you’ll likely need to purchase inventory throughout the month. One of the best introductory business checking accounts for bars is Chase Total Business Checking. With this account, you’ll get 100 free transactions—great for depositing or withdrawing cash on a regular basis. Although Chase Total Business Checking comes with a monthly fee of $15 (or $12 if you opt for paperless statements), you can avoid the fee if you keep a daily minimum balance of $1,500. This account also allows you to deposit as much at $5,000 per month without penalty, which is likely to cover your usual banking needs. A business line of credit will help you account for unforeseen expenses, as well as operating capital. Lines of credit are different from loans because they allow you to draw from funds as you need them, rather than having one large loan that you might or might not need to use at any given time. With a credit line, you can avoid paying interest on capital you’re not actually using. Better yet, you don’t need a squeaky clean credit history to get a line of credit, unlike an SBA loan, which has higher standards for your financial bill of health. A line of credit gives you great access to money in an emergency or during seasonal dry spells. Say you need a bit of cash to buy a couple of kegs of the latest and greatest double dry-hopped, glitter-infused IPA, but you know you’re running lean after paying your employees. Or maybe you need to invest in some new televisions before a major sporting event. A line of credit can help you cover these kinds of expenses without making you dip into an emergency fund. Once you’re good to go with a business checking account, consider getting a business credit card as well. Credit cards allow you a degree of flexibility with regards to paying for supplies and ingredients outside of your normal orders. Say for example you run out of limes (blame it on Monday Mojito Night) and need to make a quick grocery store run: If you’re relying on a debit card or cash, you’ll be forced to pay from your checking account right then and there. But if you put your lime reload on a credit card, you can pay later and keep more of your liquid cash available throughout the month. Some business credit cards are harder to qualify for than others, but you have several options here as well. The AMEX Blue Business Plus is a good fit for many bar proprietors. There’s no annual fee, and the issuer offers a 0% intro APR period for a full 12 months. You won’t have to pay interest on your purchases during that period. After your introductory rate is finished, a variable APR sets in at a rate depending on your creditworthiness. This rate will also vary with the market, so check the issuer’s terms and conditions for the latest APR information. 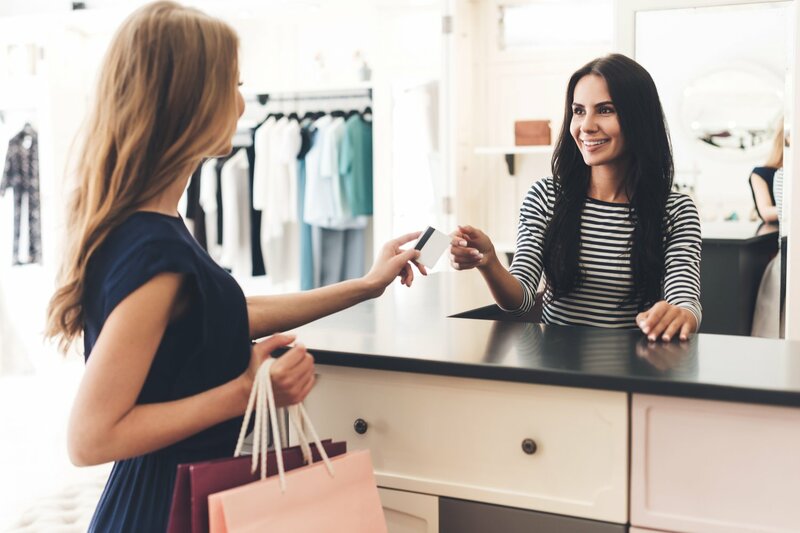 Another great option is the Capital One Spark Cash Select for Business credit card, which will give you $200 cash back just for signing up, and another 1.5% cash back on your regular purchases. This card also comes without a yearly fee, which means one less expense for your business every year. Lastly, if your credit’s not in a great place, you might want to consider a secured credit card. 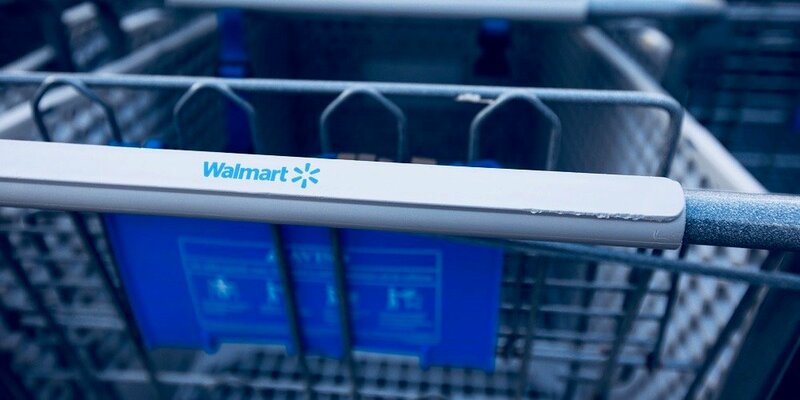 This will provide you with many of the features of a regular credit card once, but you have to provide a security deposit on the card up front. Bear in mind that most secured cards are for individuals—not for businesses. So if you pursue a secured credit card, be ready for the application process and account itself to be attached to you personally. The Capital One Secured Mastercard is a good bet in this category, and will help you build (or rebuild) your personal credit as you make your way toward getting a credit card for your business. Got a little bit of money to squirrel away from your uber-successful bar? That’s fantastic. The best thing you can do is earn interest on your extra cash. There’s no better way to earn a bit of money on your excess funds (while still being able to access it in case of an emergency) than a business savings account. Business savings accounts allow you to keep money in reserve, and away from your daily operating cash that sits within your checking account. Plus, since checking accounts don’t typically offer interest on the funds therein, you can put your savings to work by getting anywhere from 1% to 2% interest every month. Granted, that’s not a ton of interest but is better than earning none. If you have a lot of extra cash and know you won’t need to access that money for a few months or years, consider opening a business certificate of deposit, which will give you a higher interest rate in exchange for you not being able to withdraw funds for a specific amount of time. Exercise caution with this option, as you’ll be penalized for withdrawing early. →TL;DR: Obtaining initial financing is only half the battle. Once your bar is open, manage daily finances with a business checking account, savings account, and business credit card. Try a line of credit or working capital loan during seasonal dry spells or emergencies. Opening a bar can be the most rewarding, challenging experience of your life as an entrepreneur. 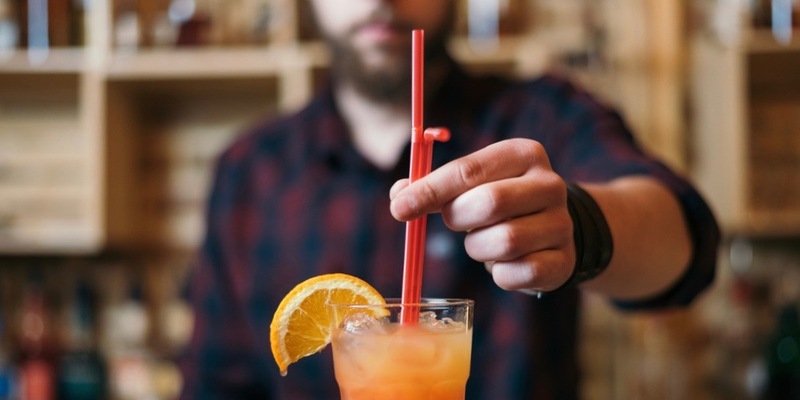 It won’t always be easy, particularly if you’re looking to get funding for your bar, but it won’t be that much different than securing a loan for any other kind of small business. Start with SBA loans if you qualify, as the SBA loan program offers the lowest interest rates and longest terms. Consider equipment financing if you need to purchase equipment for your bar. Opt for a personal loan or a friend and family loan if you’re having trouble securing traditional business financing. 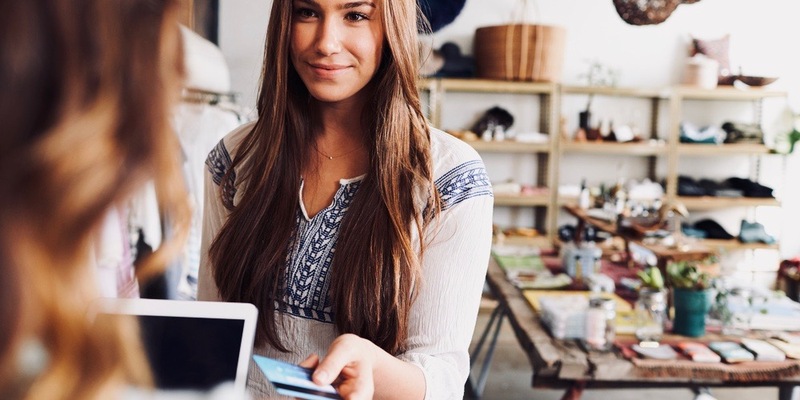 Make sure you manage your business’s daily finances well with a business checking or savings account, business line of credit, and business credit card. As long as your financial ducks are in a row, and you know what kinds of expenses to expect (and how to brace yourself for those you don’t expect! ), you’ll be well on your way to slinging beverages, earning regulars, and acting as an amateur psychologist in your own version of Cheers.